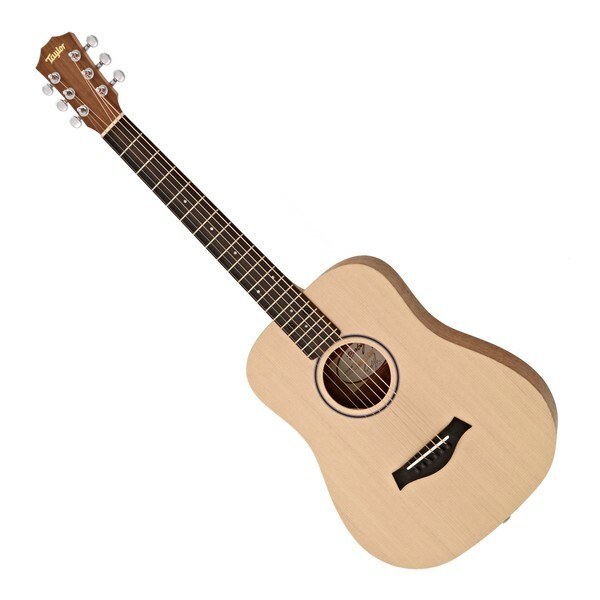 The Taylor Baby BT1 LH Left Handed Acoustic Travel Guitar has set the standard for travel guitars, offering a compact and portable design with incredible tones and projection. 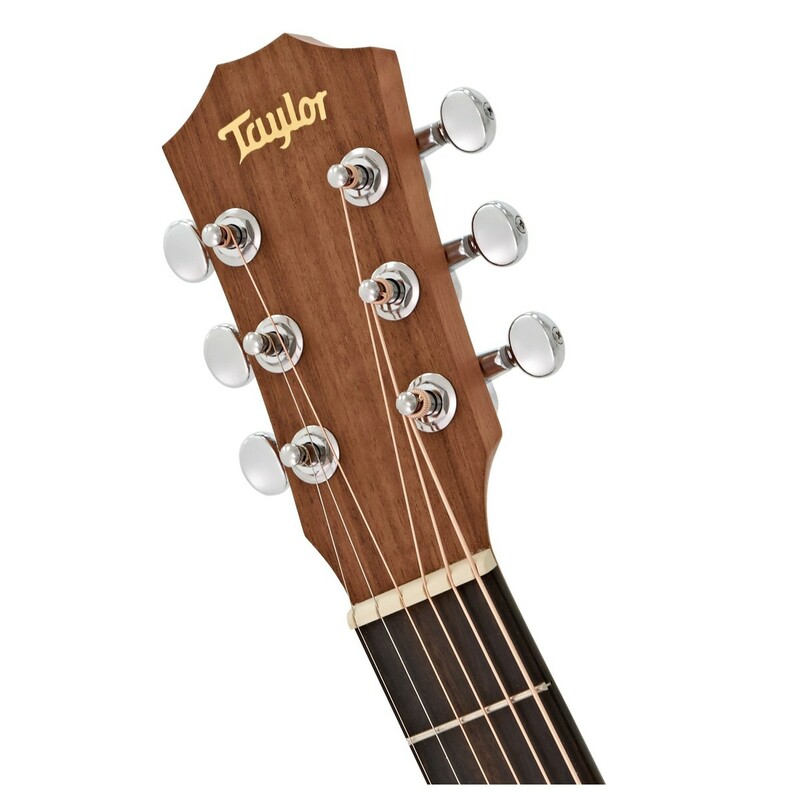 The Taylor?s 3/4 size dreadnought body is crafted from a sitka spruce top with sapele back and side panels, unleashing a broad dynamic range with crisp articulation and bright tones. Its ebony fingerboard and sapele neck work well together, offering bright, warm tonal characteristics that add a layer of depth to the Taylor. Although the guitar has a small sized body, it still manages to retain its massive sound and tonal complexity that you would find in a normal sized dreadnought, making the Taylor Baby the perfect instrument both young and travelling musicians. 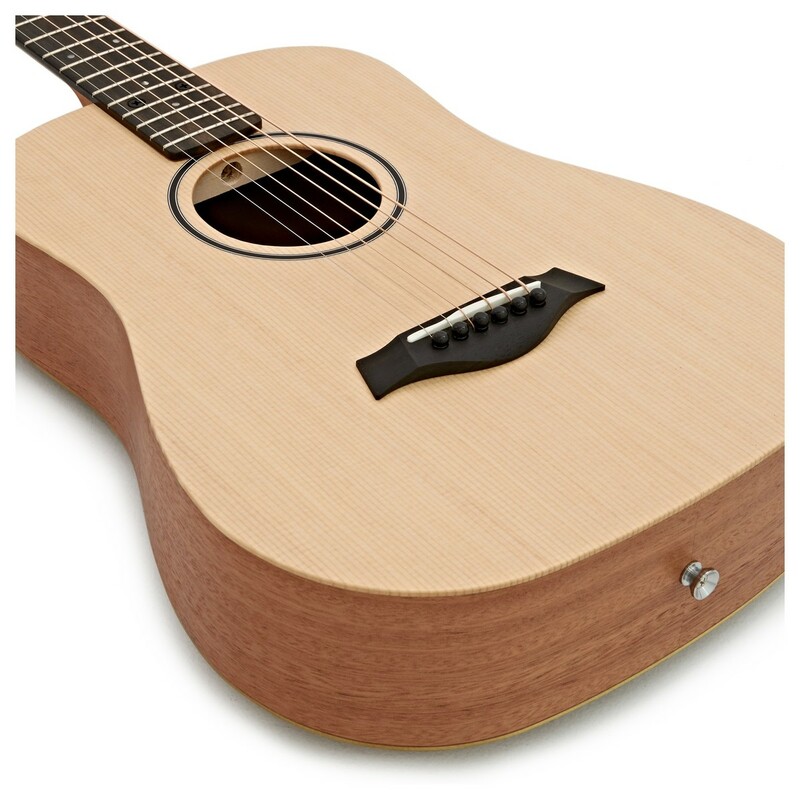 The Taylor Baby has the classic Dreadnought body shape renowned for its full sound but at 3/4 of the size, perfect for young or travelling musicians. 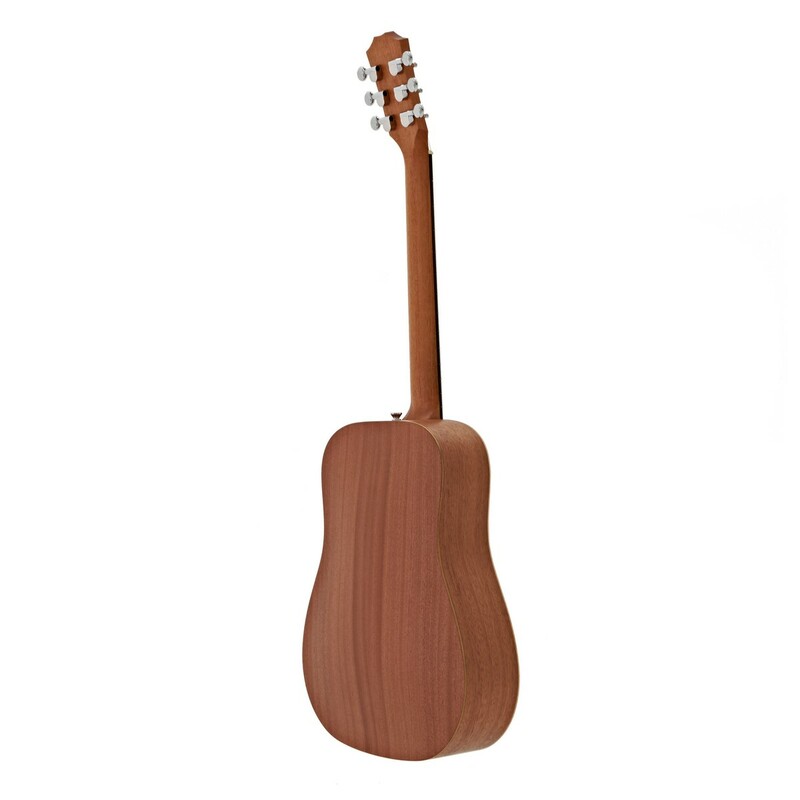 The guitar’s sapele back is pressed into a slight arch to provide added support to the body, while helping enhance the guitars tone to get a full, rich tone. 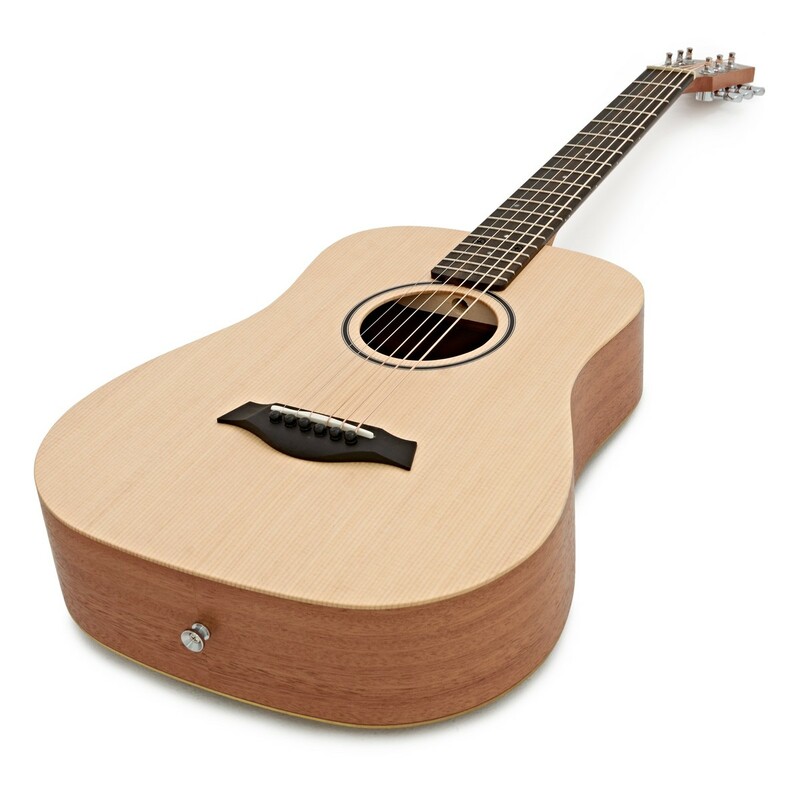 Its small design makes the Baby acoustic the perfect companion for young players wanting to get into playing, songwriters who just need something to help get their ideas down, or the travelling musician who doesn’t want to be lugging a big, heavy instrument with them. 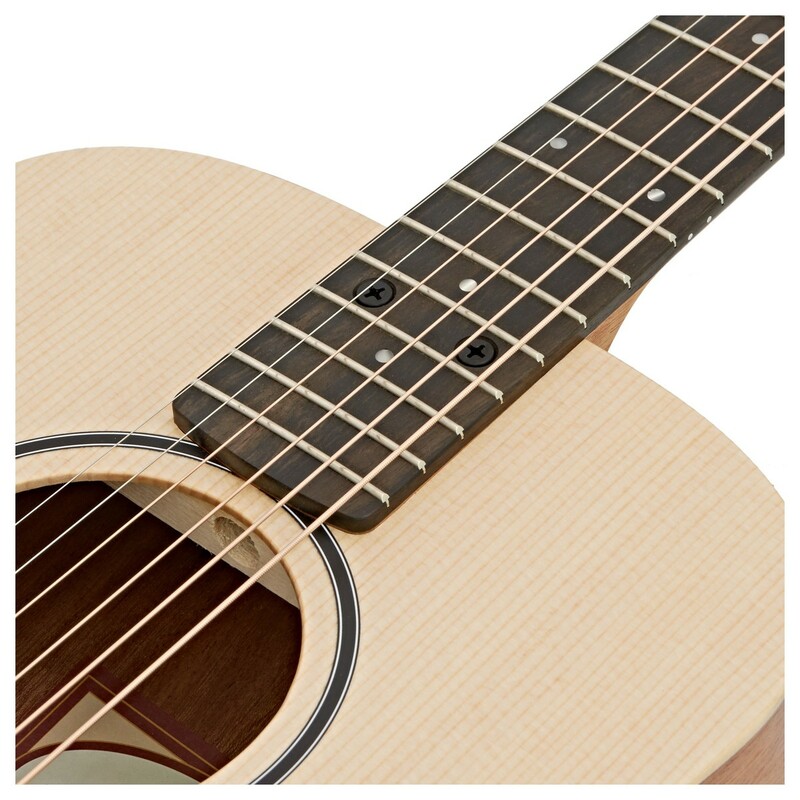 The guitar's sitka spruce top offers a broad dynamic range with crisp articulation, perfect for accommodating a wide range of playing styles and holding its own in almost any genre. The layered sapele back and sides are crafted with a poplar core which sits snugly between exterior and interior layers of sapele. Having the back and sides constructed in this way keeps the guitar sounding perfect, whilst ensuring its resilience to changes in environment. Its sapele neck gives it a bright, colourful tone, while the ebony fingerboard provides a distinct look from the rest of the instrument and offers a smooth, comfortable playing surface.